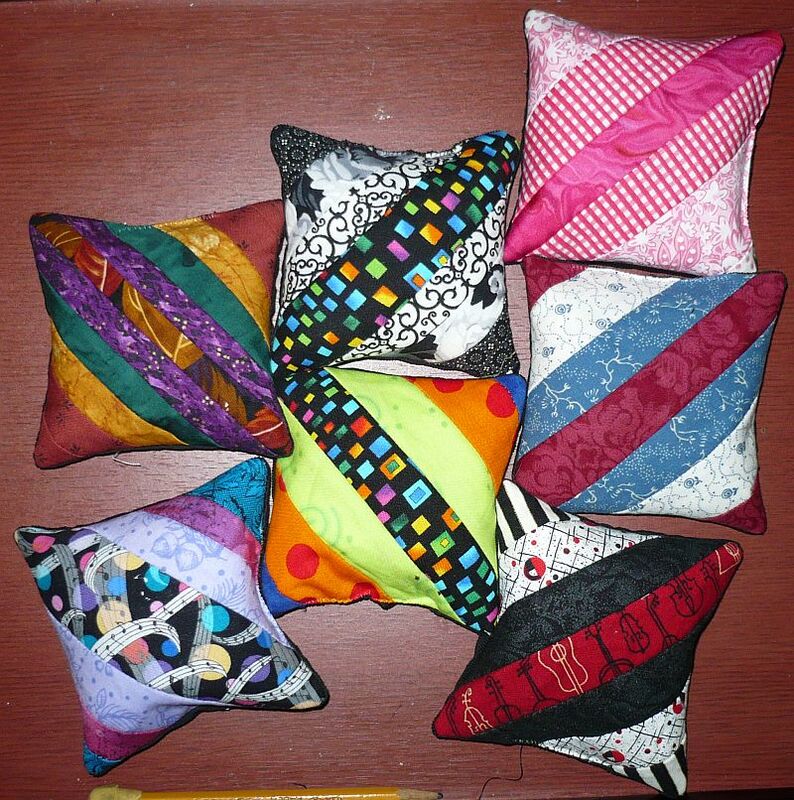 Posted by Pam in KC in finish, goals, pincushion. Provided the hanging sleeve stays stitched to the Music Lessons while it goes through the wash, I’ve finished my goals for this week. Shhh, don’t tell anyone, but I machine stitched the BOTTOM of the hanging sleeve to the quilt. It was a case of if I didn’t, it wouldn’t get done. I used the blind hem stitch on my sewing machine and the ‘bite’ only bit through the backing and batting. All I have to do now is check it when it come out of the dryer. The second task was stuffing the pincushions. Again machine stitching to the rescue. This time, a zig zag with monofilament thread in the top and black thread on the bottom. Now off to look at quilt books.